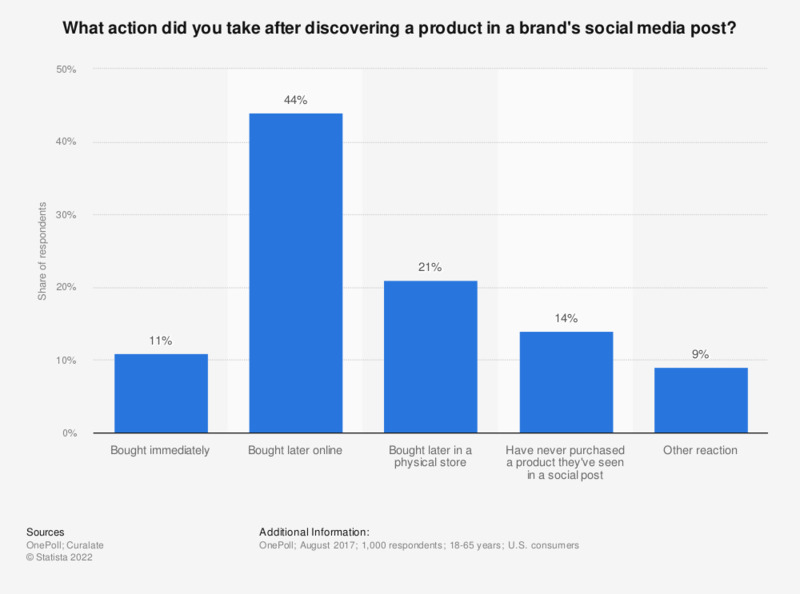 This statistic presents the most common U.S. consumer actions after discovering a product in a brand's social media post. According to the August 2017 survey results, 44 percent of consumers reported to have purchased the product later online after the discovery period. Only 11 percent of respondents stated to have purchased the item immediately. Question: "What action did you take after discovering a product in a brand’s social media post?"